Assistant Professor at the Federal University of Rio de Janeiro (UFRJ) since 2014. Member of the Postgraduate Program of Comparative History (PPGHC-UFRJ). Bachelor´s in History (2005) at UFRJ. Master´s (2009) and PhD´s (2014) at the PPGHC-UFRJ. Was Substitute Professor of Medieval History at the UFRJ (2010), and also Professor of Medieval History at Getúlio Vargas Foundation (FGV) (2013) and at Unilasalle (2014). Has experience in History, with emphasis in Late Antiquity and Medieval History, mainly on the following subjects: Sermons and Medieval Preaching; Medieval Church; Christian Calendar and Holidays; Church Councils; Middle Ages and Medievalism; Romano-Germanic Kingdoms. Together with Full Professors Andréia Frazão and Leila Rodrigues coordinates the Medieval Studies Program at the UFRJ (PEM-UFRJ). 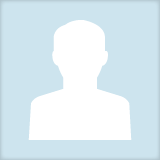 Paulo Duarte Silva updated their profile information.